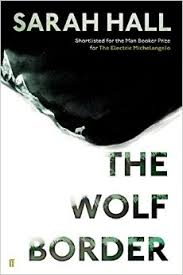 Ferrante infects the novel with unease from the beginning. In her holiday apartment, Leda discovers the bowl of fruit is rotten underneath; on her pillowcase she finds an insect; walking home from the beach she is hit by a pine cone. Each insignificant incident creates a sense of threat which culminates in Elena going missing on the beach. It is Leda who finds her, sitting near the water, crying – she has lost her doll. 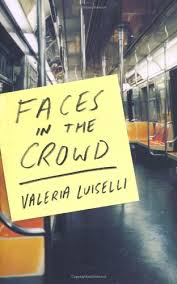 It is at this point we discover Leda has move from observer to actor and, if like me, you want to enjoy the skilful reveals Ferrante has lined up, you might want to read no further. Leda returns Elena to her family, but the chapter ends with the revelation that she has taken the doll. Later she will call it “a gesture of mine that made no sense.” Does she resent the relationship between Nina and her daughter, or between Elena and the doll? Is she searching for a second chance at motherhood? 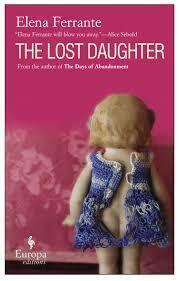 The Lost Daughter is a wonderfully provocative, ambiguous novel. As the narrative punctures into Leda’s past, we see her character is more complex than at first appears, leaving her reaction to Nina’s plea to aid her in an affair uncertain, and the reasons for her decision to steal the doll unclear. The Lost Daughter asks many questions about motherhood but does not provide easy answers; in fact, it leaves us certain there are none. Alberto Moravia’s Contempt is a story of two competing dreams. In it, Riccardo recounts the collapse of his marriage from two years of what he describes as perfection to irreconcilable division. 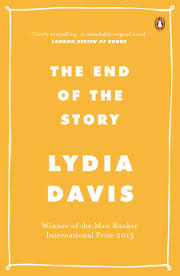 The novel is his attempt to chart the decline, to identify the turning point, and to understand why it all went wrong. We are, of course, limited to his point of view – even when his wife, Emilia, is allowed a voice, she deflects his questions and refuses to explain herself on, or in, Riccardo’s terms. Battista invites Riccardo (and, of course, Emilia) to stay in his villa in Capri and work with director Rheingold on a script for a film version of the Odyssey, a story which Moravia uses to echo Riccardo and Emilia’s relationship. It is there that events play out to their conclusion. Contempt is a forensic examination of the failure of a relationship but one where much of the analysis is ironic and the reader must remain awake and aware to see where the cracks are truly forming. 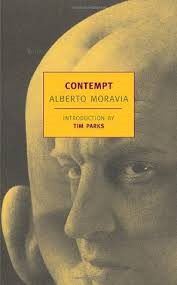 Contempt was my first experience of Moravia, but it won’t be my last. Thanks to Richard and Frances for encouraging me to read the novel, and for enlightening me with their wonderful reviews. Ayi Kwei Armah is a Ghanaian writer whose first novel, The Beautyful Ones Are Not Yet Born, has become a landmark of African Literature. Published in 1968, it remains in print to this day. 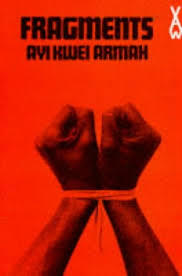 Armah’s other fiction, however, largely written during the 1970s, has slowly fallen out of favour. Spurrred on by Joy delire’s month of African Literature, I decided to read his second novel, Fragments, which tells the story of a young man, Baako, returning to Ghana after spending time abroad; above all, it is a tale of frustrated idealism and disillusionment. The corruption that Baako sees all around him is also evident in his own family, particularly when his sister gives birth. The outdooring ceremony for the child is held early to quickly follow payday and maximise returns. Much is made of the money given by the important guests to encourage others to be generous. The child later dies. This sentence demonstrates why the novel has universal appeal. It’s version of Ghana may be dated, but its portrayal of a man struggling against both his family and his society, unable to accept their values, remains as relevant as ever. The major disadvantage of reading writers in translation is that you are at the mercy of translators and publishers (and often literary fashions): a writer may get a number of books translated into English before disappearing from sight, or perhaps they will make their mark with a novel from the middle of their career, leaving earlier novels languishing untranslated. There are, however, some advantages, one of which is the continued appearance of ‘new’ works once the author is dead. Julio Cortazar is a case in point: since his death in 1984 a number of previously untranslated books have become available – often from the more esoteric aspects of his writing career – the latest of which is Fantomas versus the Multinational Vampires. As Fantomas says, “these companies are like those worms that multiply the more you cut them into little pieces.” In Fantomas’ failure we can see Cortazar’s frustration with the lack of action resulting from the Russell Tribunal’s reports. 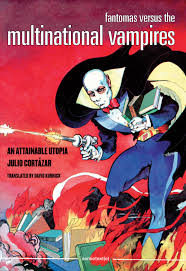 Fantomas versus the Multinational Vampires is a great discovery, a novella which is both entertaining and original, but also asks important questions about political engagement and direct action. Translator David Kurnick, who also writes an informative afterword, and publisher semiotext(e) are to be congratulated on making it available to an English-speaking audience forty years on. You are currently browsing the 1streading's Blog blog archives for May, 2015.